In this category ‘Import procedures’, I would like to provide a basic idea about formalities and procedures to import different materials from other country. These details are given to enlighten you on general tips to import goods from overseas countries applicable for almost all countries worldwide. Once after reading these posts about import procedures and import customs clearance procedures, you will have a base idea about the procedures and formalities on how to import various products from foreign countries. 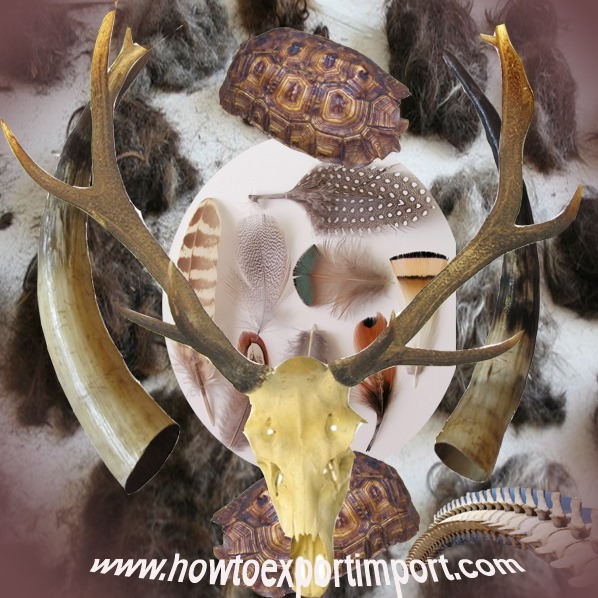 This post provides information on – how to import HUMAN HAIR,animal hair,skin of birds,feathers of birds,parts of feathers, IVORY,TORTOISE-SHELL, WHALEBONE,WHALEBONE AIR,HORNS, ANTLERS, HOOVES, NAILS,CLAWS AND BEAKS,BRISTLES of PIGS,HOGS,BOARS,Brush making hair,Yak tail hair,GUTS, BLADDERS AND STOMACHS OF ANIMALS (OTHER THAN FISH),BONES AND HORN-CORES of animals,SHELLS OF MOLLUSCS, CRUSTACEANS OR ECHINODERMS etc. Apart from regular procedures and documentation to import, the special requirements to import animal origin products are explained in this article. The exporters and importers may follow specific requirements of each importing country to import live animals from foreign country. When discussing about the procedures to import animal origin products from other country, the basic slogan must be kept in mind – “Imports do not adversely affect human and animal health population of the country”. So almost all restrictions, ban, procedures and formalities are based on this slogan. The government officials of importing country assesses the level of risk in importing the said products. If the level is acceptable, the importer is given a Veterinary import permit. The import permit is to be given to the Competent Authority in the exporting country to attest and certify the stipulated import requirements. How to import animal origin products? Some of the examples of animal origin products are HUMAN HAIR,animal hair,skin of birds,feathers of birds,parts of feathers, IVORY,TORTOISE-SHELL, WHALEBONE,WHALEBONE HAIR,HORNS,ANTLERS,HOOVES,NAILS,CLAWS AND BEAKS,BRISTLES of PIGS,HOGS,BOARS,Brush making hair,Yak tail hair,GUTS, BLADDERS AND STOMACHS OF ANIMALS (OTHER THAN FISH),BONES AND HORN-CORES of animals,SHELLS OF MOLLUSCS, CRUSTACEANS OR ECHINODERMS. Now, let us discuss about the common requirements of import of animal origin products. What are the requirements to import live animals? One of the common requirements to import most of the items under animal origin products is Sanitary import permit issued by health department of respective importing country. As I have mentioned above, the human and animal health population of the country do not adversely be effected by import of any live animals from foreign countries. Necessary Certificate from Vet nary office or , Animal Husbandry. Authority is required to be submitted along with other required documents to import most of the items under animal origin products. A certificate from Wild Life Protection department of exporting country is required under some of the items under animal origin products as per the provisions of convention of international trade in endangered species of wild fauna. Food safety certificate need to be enclosed along with shipping documents by exporter for some of the items under animal origin products to confirm health standard. In US, USDA's Food Safety and Inspection Service (FSIS), in India, Food Safety and Standard Authority of India (FSSAI) are the licensing authority to issue such Food safety Certificate to import origin of animal products. 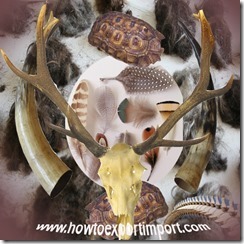 In this article, the documentation, process and formalities to import HUMAN HAIR,animal hair,skin of birds,feathers of birds,parts of feathers, IVORY,TORTOISE-SHELL, WHALEBONE,WHALEBONE HAIR,HORNS,ANTLERS,HOOVES,NAILS,CLAWS AND BEAKS,BRISTLES of PIGS,HOGS,BOARS,Brush making hair,Yak tail hair,GUTS, BLADDERS AND STOMACHS OF ANIMALS (OTHER THAN FISH),BONES AND HORN-CORES of animals,SHELLS OF MOLLUSCS, CRUSTACEANS OR ECHINODERMS are explained. As explained above, these information is generally applicable for all countries importing animal origin products. These details on how to import animal origin products are given to provide a basic idea to bring animal origin products from foreign country. Specific requirements for each importing country need to be followed by importers and exporters of animal origin products. I hope, the above information helps you in gaining basic knowledge on documentation,procedures and formalities in importation of animal origin products. Would you like to comment your thoughts on this article about importation of animal origin products? Share below your experience in importing animal origin products from overseas country. How to find overseas buyer for exports? How to import Human Hair? What are the procedures to import animal hair? 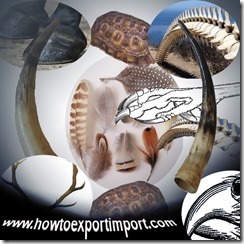 Import clearance formalities of skin of birds, Processes to import feathers of birds, Can I import parts of feathers, Is import of IVORY permitted?, Import clearance procedures of Tortoise shell, Import documents require for Whalebone air, Customs procedures to import Horns, How to import Antlers?, Processes to import Hooves, Licenses required to import NAILS, Government rules to import Claws and beaks, Government licenses required to import Bristles of Pigs, Methods to import Hogs, Import procedures to bring Hogs, Shipping procedures to import Boars, Import processes required for Brush making hair, Importation of Yak tail hair, How to import clear Guts, Can I import bladders and stomachs of animals? 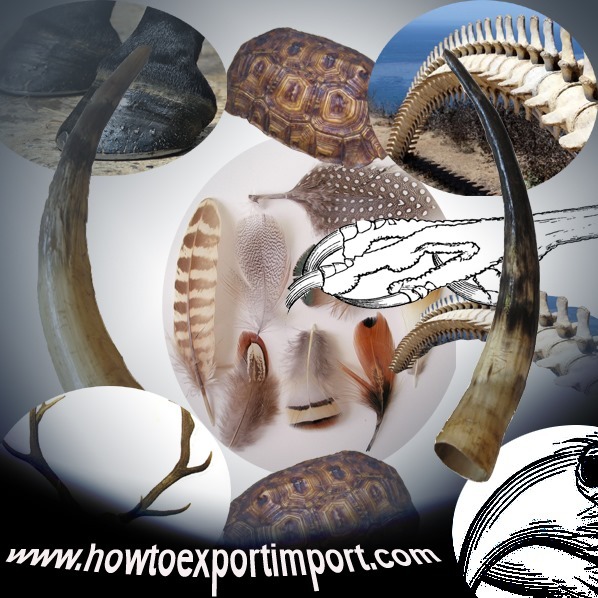 Formalities to import Bones and Horn cores of animals, Shipping procedures required to import Shell of Mollusks, How to ship shells of Crustaceans or Echinoderms?